How long does it take to learn a new language? Well, that is a question with a complex answer. There are so many variables involved in learning a language. Some of that is dependent upon what level of proficiency you are hoping to obtain, how you are at learning languages to begin with, and whether or not you speak other languages – the list goes on. At Akorbi, we believe that no matter your skill level when it comes to learning languages there are things you can do to achieve proficiency more quickly. 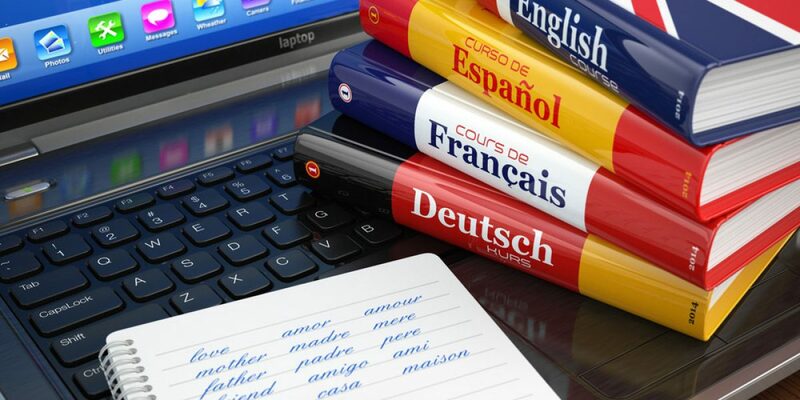 Read this Akorbi blog find out more about strategies for acquiring languages quickly! Nothing helps you absorb a language quite like immersion. First and foremost, it is a great way to learn phrasing. The more you listen to the language spoken by native speakers the more you’ll pick up on vocabulary, phrases, etc. At first it may sound like gibberish, but slowly you’ll start picking up on patterns which will help build your proficiency. It also ensures that the language you learn is the language native speakers speak instead of rigid textbook linguistics. It also forces you to use the language. If you’re completely immersed in the language, you’ll be forced out of your comfort zone. In a classroom, there is a mixture of the use of your native language and the target language. When you’re immersed you have no choice but to sink or swim. When you’re beginning to learn a language it can be hard to feel ready to start speaking it. You need to though! Even if you’re speaking in broken sentences, the more you say things out loud the easier it will get. You need to use the knowledge you’re acquiring or your skills will never develop. Try to find a native speaker who would be willing to speak with you for a couple hours a week. Listening to and reading a language can help you pick up the patterns of a language as well as vocabulary. Read out loud as much as possible. Choose to listen to music, the news, podcasts in the language you’re trying to learn. Watching your favorite movies in another language is also a great way to practice. Turn the subtitles on if you need to at first, but eventually try to watch without any and just listen for linguistic patterns. When you’re learning a new language, you’re bound to make mistakes. It’s not easy to get outside of your comfort zone and put yourself out there. It’s frustrating to be an adult and only be able to speak at the level of a toddler. However, this is all part of the learning process. Just get out there and start speaking. Eventually, you’ll become better and it’ll be less uncomfortable! At Akorbi we believe that learning a second language is a valuable thing. However, if you haven’t quite mastered that second language yet and need some translation help, make sure to look into using one of our phenomenal translators at Akorbi. Our Akorbi translators are all native speakers of the language they’re translating, so they are experts in both the language and the culture. This helps them translate as accurately as possible. Contact us at Akorbi today to get the translation help you need!